If you are from Incheon airport, it's exactly opposite. 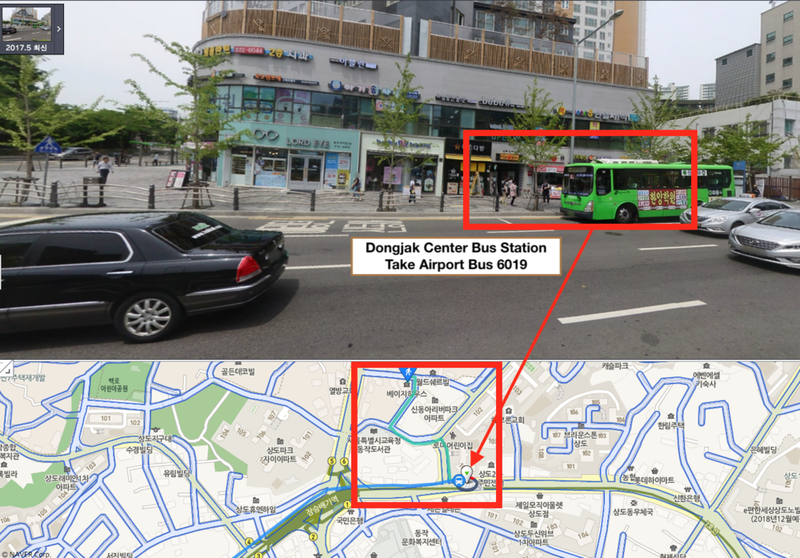 Please take bus 6019 from Dongjak Center Bus Station. It will take you to incheon airport within 100 mins.